This website is owned and operated by Lovegevity.com,Inc. Our principal place of business is located at 915 Highland Pointe Drive, 2nd Floor Roseville, CA 95678. Lovegevity is fully committed to providing an informative, useful, and entertaining website for its visitors. Lovegevity, it’s Institute, and Academy enjoy interacting with our audience and helping to provide information. Visitors to any Lovegevity webpage have an opportunity to contact us via E-mail. The policy of Lovegevity’s officially controlled and operated WWW sites is to respect and protect the privacy of its visitors, students, faculty, staff, and all other users. Lovegevity does not sell or distribute any information obtained from our visitors to a third party, under any circumstance. – Personal information we request for information inquiries/requests, etc. There are cases where Lovegevity websites may request/or provide personal information such as userID, password, name, or address. To provide for your privacy in these instances, Lovegevity provides a secure server which transmits and receives scrambled data, which is decoded on the server side. This technology protects your information from being viewed by an outside user. Any communications made through our ‘contact,’ blog, blog comments, newsletter sign up or other related pages, or directly to our phones or mailing or email addresses is held privileged or confidential and is not subject to viewing and distribution by third parties. The collected information is used for internal purposes and may be used to improve the content of Lovegevity overall website. It will not be shared with other organizations to help them contact visitors. However, Lovegevity reserves the right to use the information to contact visitors for marketing purposes. While Lovegevity strives to protect its users’ personal information and privacy, it cannot guarantee the security of any information you disclose online and you do so at your own risk. Lovegevity’s policy does not extend to anything that is inherent in the operation of the Internet, and therefore beyond our control, and is not to be applied in any manner contrary to applicable law or governmental regulation. Lovegevity reserves the right at its discretion to make changes to this policy at any time. Feel free to check this page periodically for amendments/updates. To correct your information or address any concerns over your personal data, please contact [email protected] or call 888-221-9988. All images, text, designs, graphics, trademarks and service marks are owned by and property of Lovegevity.com, Inc, or the properly attributed party. It is a violation of federal law to use any of our intellectual property in whole or in part, and modification of any materials contained on this site is illegal and may be prosecuted to the fullest extent permissible should we choose to do so, including asking for financial penalties (damages) and/or an injunction forcing you to stop using our intellectual property immediately. By purchasing your program and templates or any product from our sites or student libraries, you are granted one revocable, worldwide, non-exclusive license to the product(s) You have purchased. If you violate this license by giving or selling a copy of Our template(s)/product(s) to anyone other, or if you imply that anyone who gets access to our template/product(s) has the right to use it for his/her/its commercial purposes, We reserve the right to invoice you for the licenses you have gifted to others and revoke your access to our template(s)/product(s) permanently. Basically, if you use a template from our library, you are not allowed to share it with your industry friends. If they need a template, We recommend you get an affiliate link by emailing [email protected] and give them the opportunity to purchase a program with templates through your link. We use website hosting servers/third party processors/subcontractors located in United States has received an Adequacy Determination from the European Commission, meaning that appropriate safeguards are in place to protect data once it is transferred to that country. We retain personal data as long as it is needed to to conduct our legitimate business purposes or to comply with our legal obligations, or until you ask us to delete your data. For example, we will retain certain personal information indefinitely for the purposes of maintaining your account, unless and until you delete your account. Data that we gather for a specific and particular purpose, such as assisting law enforcement or analyzing trends, will not be kept for longer than is necessary for that particular purpose. Data that is no longer needed by us for any of the purposes listed above will be permanently deleted. You may request that we delete your data at any time. However, note that we cannot control the retention policies of third parties. If you wish to have any third parties, including those to whom we’ve transmitted your data, delete that data, you will need to contact those third parties directly. You may request from us a list of all third parties to whom we have transmitted your data. The State of California has established its own unique regulations that apply to California residents. If you reside in California, you have the right to obtain from us, once per year and free of charge, information regarding what information (if any) we disclose to third party marketers, and the names and addresses of each third party to whom we disclose your data. If you are a California resident and would like to make such a request, please use the contact information listed below. If you are a California resident and under the age of 18, you have the right to request that we remove any data that you publicly post on our website. To request removal of your data, please use the contact information listed below. Note that while we will remove your data that is publicly posted on our website, we may not be able to completely remove that data from our systems. Our website and related materials are provided for educational and informational use only. You agree to indemnify and hold harmless our website and company for any direct or indirect loss or conduct incurred as a result of your use of our website and any related communications, including as a result of any consequences incurred from technological failures such as a payment processor error(s) or system failure(s). While we may reference certain results, outcomes or situations on this website, you understand and acknowledge that we make no guarantee as to the accuracy of third party statements contained herein or the likelihood of success for you as a result of these statements or any other statements anywhere on this website. If you have medical, legal or financial questions, you should consult a medical professional, lawyer or CPA and/or CFP respectively. We expressly disclaim any and all responsibility for any actions or omissions you choose to make as a result of using this website, related materials, products, courses or the materials contained herein. This website is updated on a regular basis and while we try to make accurate statements in a timely and effective manner, we cannot guarantee that all materials and related media contained herein are entirely accurate, complete or up to date. You expressly acknowledge and understand that any information or knowledge you gain as a result of using this website is used at your own risk. If you should see any errors or omissions and would like to let us know, please email us at [email protected]. We (Lovegevity.com,Inc.) make(s) no income/financial claims, nor guarantee of any kind regarding the potential income that can be generated through our communications or your participation in the purchase of any of our products or participation in our affiliate program. Past results are not an indication or promise of your results. There is no guarantee you will earn any money using any of our materials, and your revenue is dependent solely on you and your actions or non-actions. 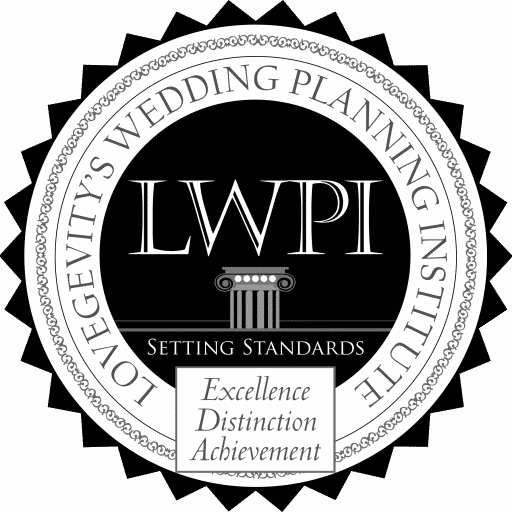 To the extent legally permitted, in no event shall Lovegevity.com,Inc., The Wedding Planning Institute or WEDTECH Academy, courses, or any of our other properties or our affiliates, distributors, licensors, agents, or any of our or their directors, employees, or agents be liable as a result of your use of our websites or use of this website for direct, indirect, special, incidental, punitive or consequential damages, losses or expenses, including without limitation loss resulting from business disruption, loss of data, lost profits, lost goodwill, or damage to systems or data howsoever arising including without limitation through an action in contract, tort (including negligence) or otherwise, even if we or our affiliates, distributors, licensors, or agents, or any of our or their directors, employees, or agents have been advised of the possibility of such damages. Although we endeavor to prevent the introduction of viruses or other malicious code (together, “malicious code”) to our websites, we do not guarantee or warrant that our websites, or any data available therein, do not contain malicious code. We will not be liable for any damages or harm attributable to malicious code. You are responsible for ensuring that the process you employ for accessing our websites does not expose your computer system to the risk of interference or damage from malicious code. If you provides us any feedback about our websites or any products, you grant us the right to use that feedback for the purpose of improving our websites, programs, or Affiliate Program (and for any other purpose we deem necessary or desirable) without being obliged to pay you any compensation in respect of our use of that feedback. If you do send us unsolicited ideas, such ideas will be deemed non-confidential, and we will not be required to provide any acknowledgement of their source. If you do not see a usage scenario here that applies to your intended usage, or for any questions about our branding guidelines, contact us at [email protected].